Captured Messerschmitt Bf-109G-6 fighters used, modified and tested by USAF during WWII. Available in 1/32, 1/48 and 1/72 scalees. Messerschmitt Bf-109G-6 fighters of 15 (Kroat)./JG52 (Croatian Air Legion) on Eastern front 1943-44. Decals for 7 aircraft. Available in 1/32, 1/48 and 1/72 scales. Messerschmitt Bf-109G-6 fighters and Ume-109 two-seaters in Yugoslav service 1945-52. Intended for models of Soviet/Russian transporters in 1/72 scale and fighters in 1/32 scale as well as for your Sci-Fi models and any other modelling needs. Set includes BORT numbers in 3 colours and two variants as well as Soviet stars in two sizes. Intended for models of Soviet/Russian transporters in 1/72 scale and fighters in 1/32 scale as well as for your Sci-Fi models and any other modelling needs. Set includes BORT numbers in 3 colours and two variants as well as Russian stars in two sizes. Dornier Do-17Z bombers used by 10(Kroat)./KG3 and 15(Kroat)./KG53 (Croatian Air Legion) on Eastern front 1943-44, Croatian Air Force1944-45. Decals for at least 7 aircraft. In 1/72 and 1/48 scale. Tanks and vehicles used during WWII in Balkans by Germans, Italians, Croats, Yugoslav partisans etc. In 1/35, 1/48 and 1/72 scale! 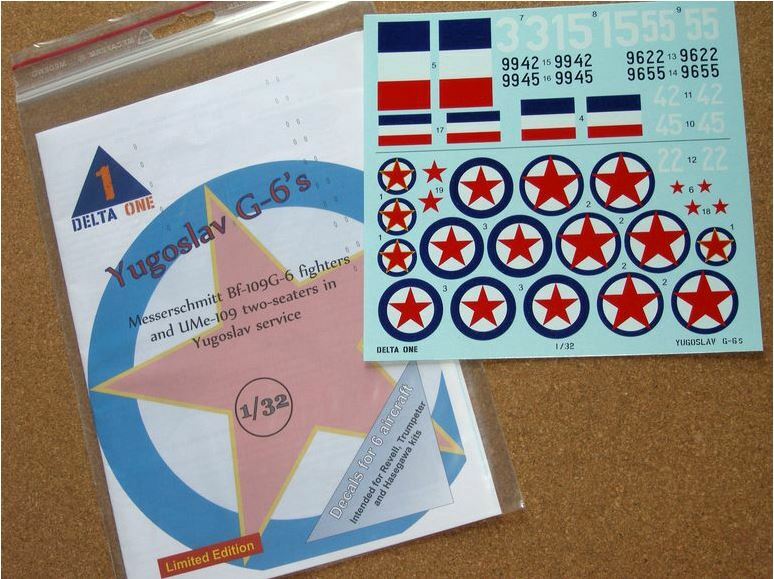 Decals for popular Croatian Air Force fire-fighters. In 1/72 and 1/144 scale! Decals for United Nations Emergency Force at Sinai 1956-67 (Yugoslav, Canadian, Brazilian, Swedish, Danish, etc. vehicles). In 1/35 and 1/72 scale! Messerschmitt Me-109G-10, G-14 and G14AS fighters in Croatian Air Force1944-45 and Yugoslav service 1945-52. In 1/72, 1/48 and 1/32 scale! This entry was posted in Recenzije. Bookmark the permalink.